See the Conference Day 1 Recap post here, and the Day 2 Recap post here! 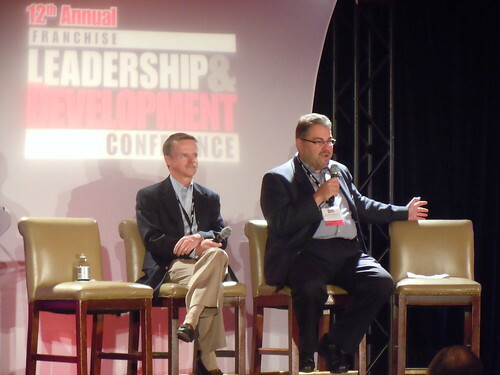 The 12th Annual Franchise Leadership & Development Conference came to a close on Friday 9/23. 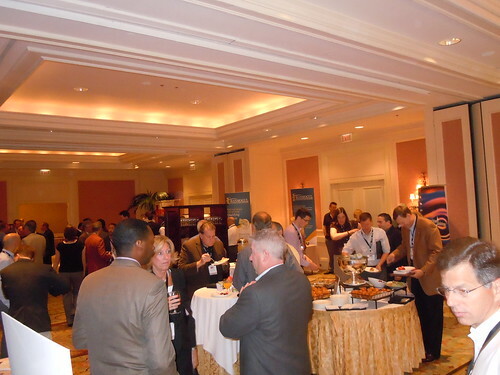 The final day kicked off with a breakfast with a few of the top legal experts in franchising. 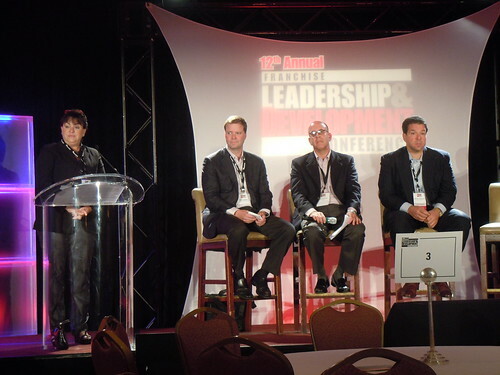 Facilitated by Joyce Mazero of Haynes and Boone, LLP, the panel included Riley Lageson (Partner, Davis Wright Tremaine LLP), Mark Friedman (VP & Gen. Council, Pinkberry), and Anthony Calamunci (Partner in Charge, Roetzel & Andress). 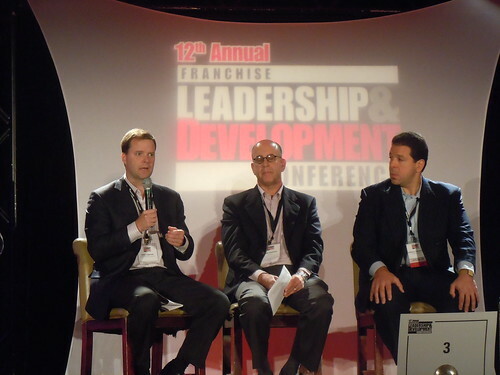 The panel focused the discussion primarily on non-traditional franchise development opportunities – such as opening locations in airports, supermarkets, air force bases, etc. – and covered the legal considerations and evolving trends to be aware of in this area. After the panel wrapped up, the room organized into round table discussions, where a legal expert was present at each table to answer questions and move the discussions along. My table discussed the importance of financial performance representations (a.k.a. FPRs, formerly known as “earning claims”), independent franchisee associations, international expansion, and the legal implications to be cautious of. *FPRs should be used as a marketing and sales tool, but they need to be valid and compliant with regulations. *Franchisors should embrace and support franchisee associations, and focus on productive collaboration and respectful dispute resolution early on, to avoid litigation issues. *When considering international expansion, start the process of registering trademarks, domains, etc. early in the countries you wish to expand into – doing this too late in the game can be costly and time-consuming. Next we heard from financing experts Ron Feldman (CEO, Siegel Financial Group) and Darrell Johnson (President, FRANdata). Everyone knows that financing is one of the biggest challenges facing franchise development in this economy, and although the purse strings are still held quite tightly for franchise financing by the banks and lenders, Mr. Feldman and Mr. Johnson gave some terrific insights into how franchises can be competitive and still find great financing opportunities. Also notable was the serendipitous announcement during the presentation that the Small Business Jobs and Credit Act passed, which has high hopes for making a positive impact on financing for franchises. *Do everything in your power to make sure locations don’t close – item 20 (disclosure of closed locations) is often more important than item 19 (disclosure of FPRs). *DON’T use your FDD to get financing – the data needs to be consolidated and refined for bankers. No one is going to read through an entire FDD. *Prepare for a “proctology exam” (perhaps the most humorous quote of the conference) before a lender reviews your request for financing – the performance of your franchise will be heavily scrutinized, so be prepared and work with an expert. The conference came to a close with the popular “Mindshare Solutions” round tables, where the audience broke out into groups to discuss the most challenging topics facing the franchise industry today. My table discussed “The Future of Online Marketing & Lead Generation,” which turned out to be a lively debate about where we’ll be in the coming years. Joe Mathews (Partner, Franchise Performance Group) informally led the discussion, and I thoroughly enjoyed participating. *Prospective franchisees and consumers will continue to crave more and more transparency and clarity of information, before they pick up the phone or submit a form online. It’s critical, both for franchise development and end-consumer marketing, to have an information-rich web presence that’s focused on creating a fantastic user experience and, more importantly, converting visitors to prospects or customers. This is Empowerkit’s focus 100% so it was great to see the group agree on this important point. *There’s still a great deal of confusion and uncertainty among prospects about the fundamentals of the franchising business model, which is consuming a good bit of time for sales and development reps. and often times producing unqualified leads. Franchisors, and organizations like the IFA, will need to continue to better educate prospects early on through the web. *New technologies will continue to better facilitate prospect profiling, pre-qualification, and lead generation – it’s important to think about how your franchise and stay ahead of the curve, and remain relevant and competitive as new trends continue to emerge at a blinding pace. On my flight back to San Francisco, my mind was racing with all of the fantastic information I had learned, and more importantly I was taken aback by the amount of productive collaboration that had taken place, resulting in countless relationships that were forged and strengthened. I can’t wait for next year’s conference, and again, if you didn’t make it out this year, put it on your calendar now and register early for 2011!